I often heard Christians say that they skip the portion of the Old Testament dealing with God’s giving of the law to Israel in Mt. Sinai (Exodus 19-Numbers 10) and on the plains of Moab just before Israel enter the Promised Land (Deuteronomy). But to do so is to skip a large portion of God’s Word that we consider as “God-breathed and profitable for teaching, rebuking, correcting and training in righteousness” (2 Timothy 3:16-17). God commanded Joshua to meditate on this law day and night so that he would be successful in accomplishing God’s purpose for Israel through him (Joshua 1:8-9). So how do we profit from this large chunk of laws that seems irrelevant or not applicable for our life today? The first we need to do is to remove from our minds the notion that it is irrelevant, and replace it with a heart-felt conviction that all of God’s Word is important. Then consider the following principles which helped me make sense of Old Testament Law. We should not ignore the Old Testament laws, which are God’s Word to us. The Old Testament laws are not applicable to us in the same way as to the people of the Old Testament era. The Old Testament laws are applicable to us today in important ways. Read the Old Testament laws in light of the story in which they are given. The Old Testament laws are Scripture but not “law” for us. 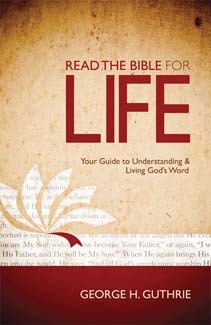 Determine what the text meant to the biblical audience. Determine the differences and the similarities between the ancient biblical audience and those of us who are Christians today. Try to find a general theological principle within the intent of the law that applies both to the ancient audience and to us. Run this theological principle through the grid of New Testament teaching. Determine specific ways that you can apply this principle in your own life. Read the Old Testament laws in light of their literary and cultural contexts. Do see the Old Testament law as God’s fully inspired word for you. Don’t see the Old Testament law as God’s direct command to you. Do see the Old Testament law as the basis for the Old Covenant, and therefore for Israel’s history. Don’t see the Old Testament law as binding on Christians in the New Covenant except where specifically renewed. Do see God’s justice, love and high standards revealed in the Old Testament law. Don’t forget to see that God’s mercy is made equal to the severity of the standards. Don’t see the Old Testament law as complete. It is not technically comprehensive. Do see the Old Testament law as a paradigm – providing examples for the full range of expected behavior. Don’t expect the Old Testament law to be cited frequently by the prophets or the New Testament. Do remember that the essence of the Law (Ten Commandments and the two chief laws) is repeated in the prophets and renewed in the New Testament. Do see the Old Testament law as a generous gift to Israel, bringing much blessing when obeyed. Don’t see the Old Testament law as a grouping of arbitrary, annoying regulations limiting people’s freedom. So, try applying these principles and share to us what you have learned (by posting your comments below)! I’ll try giving an example next time.